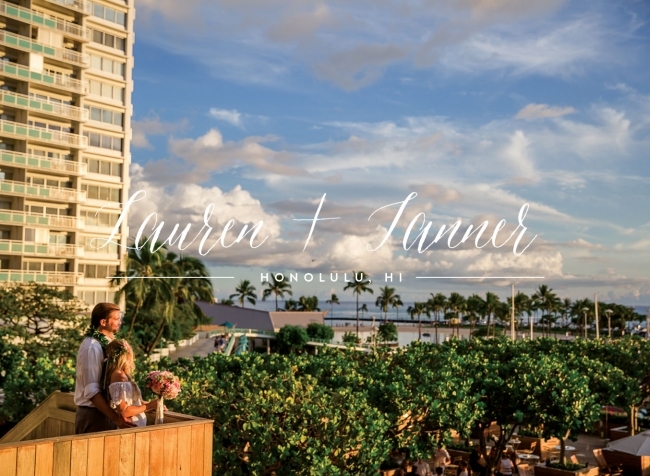 Lauren and Tanner’s wedding at The Modern Honolulu Hotel on the island of Oahu in Hawaii was an absolute dream. The weather couldn’t have been more beautiful (do you see these gorgeous blue skies filled with billowy white clouds?!) 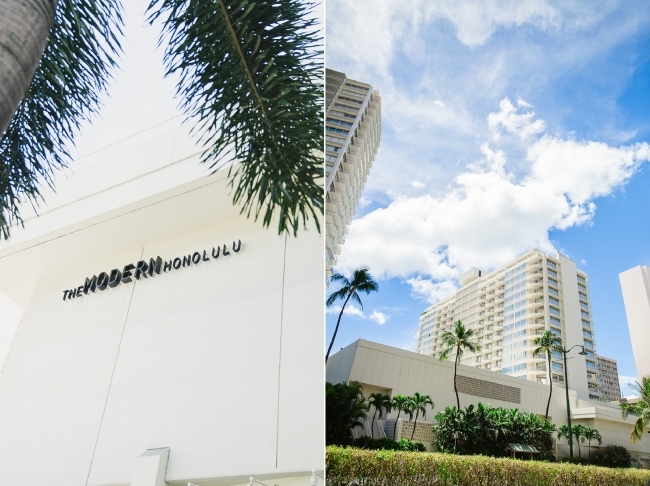 and The Modern Honolulu offers such a gorgeous space for weddings. Lauren and Tanner are such an awesome couple and I must say that that they are so much fun! Their wedding was full of dancing, laughter, love and even a surprise hula dance from the the bride. I hope you enjoy this peek into paradise for Lauren and Tanner’s Oahu wedding! 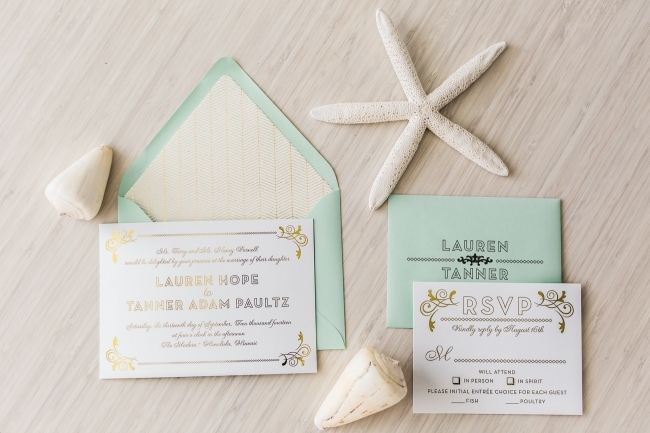 As a stationary lover, I was obsessed with Lauren and Tanner’s wedding invitation! I love the gold foiling and the gold envelope liner! I was obsessed with her bouquet! I love the long ribbons! This image (below, left) was taken from the balcony of their hotel room. I can’t get over this view! The flower girls were so cute! These girls look like they belong in a commercial!